Provide comfort for the family of Ivars Ozols with a meaningful gesture of sympathy. 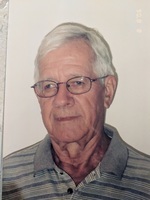 Ivars Ozols, 86, of Pittsfield, MA passed away on February 5, 2019 at Craneville Place of Dalton. He was born in Krustpils, Latvia on April 5, 1932, son of the late Robert and Auguste Ozols. At age 11, he, his sister, and mother fled Latvia to escape communism. They eventually found refuge in Wurzburg, Germany. After five years, they were able to obtain a sponsorship visa from an American family to emigrate to the United States and resided in Schenectady, NY. He graduated from Nott Terrace High School in Schenectady, NY and Hudson Valley Community College in Troy, NY then obtained a BS in Physics from the former North Adams State College. He was employed by General Electric Ordnance Division in Pittsfield, MA as a Design Engineer. He also served in the US Army from 1956 through 1958, stationed at the Nike Hercules Missile Base in Burlington, MA. He enjoyed golf for many years and was a member of Wahconah Country Club. He is survived by his wife, the former Anna Chiacchiaretta, whom he married September 3, 1960. Also, he is survived by his son, Stephen Ozols and his wife Janelle and grandson Mikhail of Epping, NH; his daughter Kirsten and her husband Steven Quatromoni and his grandson Nico and granddaughters Jenna and Julia. Besides his parents, he was predeceased by his sister Rasma Jansons. A special recognition and thank you to the wonderful caregivers at Craneville Place of Dalton who lovingly cared for him and his family, especially during the difficult times. Funeral Notice: A Liturgy of Christian Burial for Ivars Ozols will be celebrated on Monday, February 11, 2019 at 10:00 A.M. at St. Mark's Church, 400 West Street, Pittsfield, MA with the Rev. Christopher Fedoryshyn, Administrator officiating. CALLING HOURS WILL BE HELD AT THE CHURCH from 9:00 A.M. to 10:00 A.M. Inurnment will follow at St. Michael Archangel Columbarium at St. Joseph's Cemetery. In Lieu of flowers, memorial donations are suggested for HospiceCare in the Berkshires or St. Jude Children's Research Hospital in care of the FLYNN & DAGNOLI-BENCIVENGA FUNERAL HOME, 5 Elm St., Pittsfield, MA 01201. To add to the Book of Memories, please visit www.flynndagnolifuneralhomes.com. To send flowers in memory of Ivars Ozols, please visit our Heartfelt Sympathies Store. We encourage you to share your most beloved memories of Ivars here, so that the family and other loved ones can always see it. You can upload cherished photographs, or share your favorite stories, and can even comment on those shared by others. Your HomeGoods Family sent flowers to the family of Ivars Ozols.